Every manager’s dream is to have an office that runs like a well-oiled machine. But offices have changed over the past decade, haven’t they? While in-house teams still exist and are the core of most businesses, more and more organizations are hiring freelancers to handle a significant share of the workload. On top of that, certain positions like programming allow employees to work from home part of the time. Where does that leave the average office these days? In the middle of an organizational mess, if they aren’t deliberate about keeping communication clear and fluid. Thankfully, startups and established companies have recognized this need. The app market is teeming with organizational apps that, as the old saying goes, put everyone on the same page. Basecamp is one of the original productivity software companies. They’ve been in business for 12 years and, according to their website, they’ve had more than 100,000 companies sign up for their services. They claim to provide the world’s best project management software, which makes sense considering how long they’ve been in business. Their platform is available through a web browser and as an Android or Apple app. Currently, Basecamp’s Android app gets 3.9 stars from 401 reviews in the Google Play store. A 2015 PC Mag review of Basecamp echoed the “simple” advantage, but also noted that Basecamp can be too simple at times. “The service remains simple to use and quick to set up, but it’s not nearly as robust as other online project management solutions,” PC Mag wrote, giving Basecamp 3 (the most current version) a rating of 3.5 out of 5. Design-wise, Basecamp falls a little short. Their tan color scheme is a little outdated, but it’s a reflection of the basic nature of the software: straightforward, easy-to-use and popular with a wide variety of companies. Basecamp fees: $29 per month for your in-house team, $79 per month to work with clients, $3,000 per year for a 2TB enterprise solution. There is also a free version. If Basecamp is the bare-bones version of project management focused on substance over style, Asana is the sleeker, sexier counterpart in the project management narrative. Asana was founded in 2008 and officially launched in 2011 by Facebook co-founder Dustin Moskovitz. Like Basecamp, you can access Asana through your web browser or through their Android and Apple apps. Asana gets a 4.1 rating in the Google Play store. Our experience with Asana is in line with that reviewer’s sentiments. Visually, it’s light years ahead of basecamp. The platform’s browser app achieves a clean look by hiding specific details about a project until you click on that project. In this sense, Asana feels a little more orderly than Basecamp, where there are checklists galore that result in a somewhat busy screen. 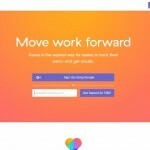 Asana’s emphasis on the user experience won the company PC Mag’s Editors’ Choice award. The publication gave the project management tool 4.5 stars. Asana fees: Free for up to 15 users on one team or $8.33 per member per month for unlimited use of features by an unlimited number of people. Slack is the newcomer to the big three of project management apps with an August 2013 release. Their claim to fame? The team that manages the Mars Curiosity Rover is one of their clients. Slack employs browser and app functionality just like Asana and Basecamp. One of the great features about the platform is that it integrates Google Drive and Dropbox, two of the most popular cloud storage services on the market. These integrations are native, unlike Basecamp, where you have to install a plugin in order to sync with Google Drive. Reviewers on Slack’s Google Play page gave the project management tool 4.4 stars, with one reviewer noting how easy it is to share files through Google docs, to switch between team members during communication and to share emojis. PC Mag gave Slack the Editor’s Choice award like they did for Asana. The star rating? 4.0, just half a star behind Asana. We believe that Slack got a lower score than Asana because it’s more difficult to learn than its two counterparts. Reviewers on Google Play and the PC Mag reviewer noted that the platform isn’t very intuitive. “Make no mistake, Slack takes some learning, with an adjustment period of hours if you’re lucky, or in my case, a few weeks,” reviewer Jill Duffy wrote. And there’s one more thing: Slack is ideal as a way to communicate with your teammates (it has streams and messaging kind of like Facebook) but it doesn’t have the project-management capabilities of an Asana or Basecamp. As Duffy wrote, if you think your current project management system provides sufficient communication tools, you probably don’t need Slack. Our impressions? 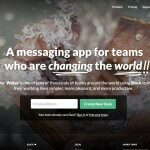 Slack is the newest app in the growing world of project management and project communication tools. Don’t mistake it as a pure management platform; consider it a powerful communication platform with tremendous tools for refining and organization the information you see about your project team. Slack Fees: Free, $8 for their Standard package and $15 per month for their Plus package. An enterprise solution will be available later this year. If you’re looking for a time-tested product used by millions of people, then Basecamp is probably the best fit for you. They’ve been in business for 12 years, have a long list of plug-ins you can use to enhance your project management tools and their interface is simple. However, if Basecamp’s bland design isn’t quite your style, Asana is an excellent option. Though it doesn’t have the same size customer base and is considerably newer than Basecamp, it has received high marks for ease-of-use and clean design. However, let’s say you’re set on the project management side but you’re looking for a tool that can keep communication between team members focused, streamlined and fun. If that describes your situation, Slack is a great tool.